Over the course of 13 years of delivering professional children’s entertainment, we’ve developed and fine-tuned the greatest kids entertainment available to hire. Introducing The Works™! The Works™ parties are delivered by colourful and energetic entertainers bringing a dazzling combination of music, games, balloon twisting, magic, bubbles and oodles of fun! Entertainment is geared towards the age group of the children, so you can be sure their attention is kept for the duration of the event! Not only that, but optional party themes are available for entertainment based on the children’s favourite characters and activities. 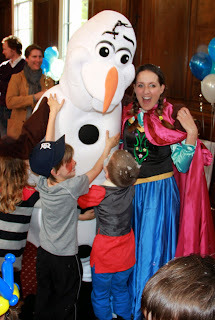 Our funtabulous party themes for kids include Frozen parties, Superhero parties, Princess and Fairy parties, Star Wars parties, Science Parties, Sports Parties… to name a few! The Works™ entertainment fits into almost any party venue, whether you’re celebrating at home or in a community hall! So if you need children entertainers for birthday parties, school events, corporate events, seasonal celebrations or anywhere children need entertaining, why not try the popular party entertainment option The Works™? It’s a whole lotta fun for all children!